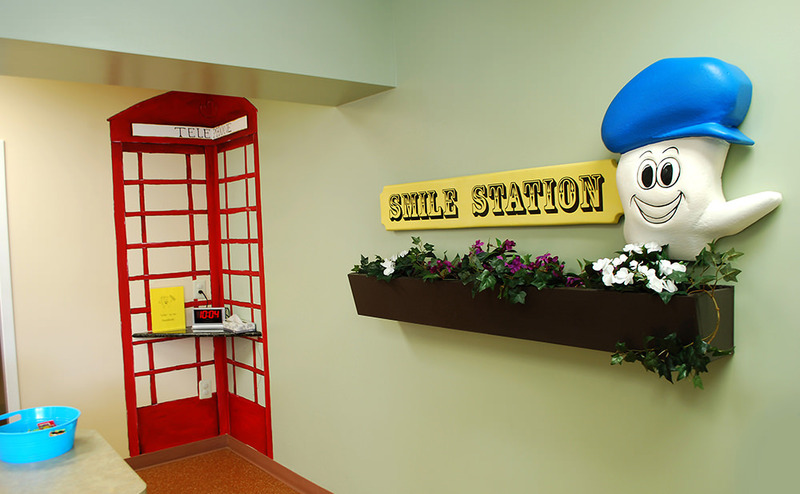 Hired by client to renovate old train themed pediatric dental office, that is situated adjacent to a popular commuter train station. 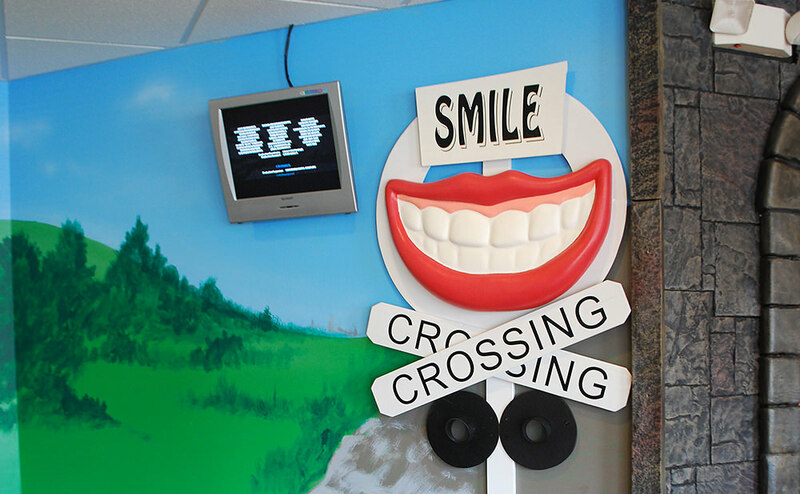 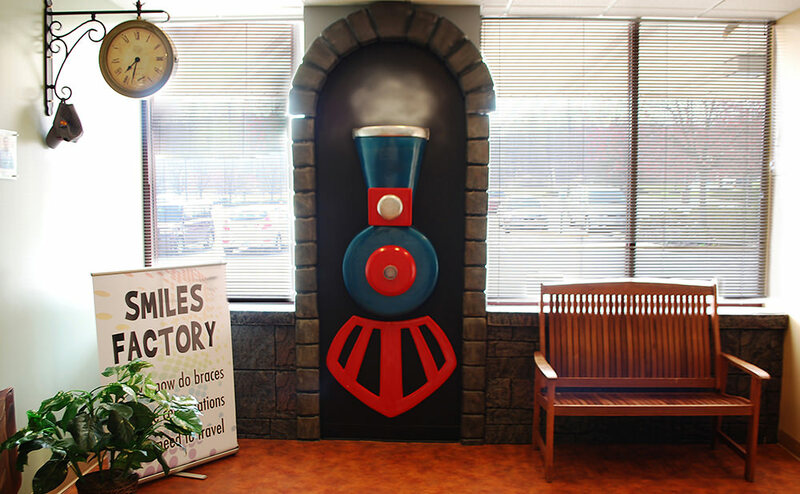 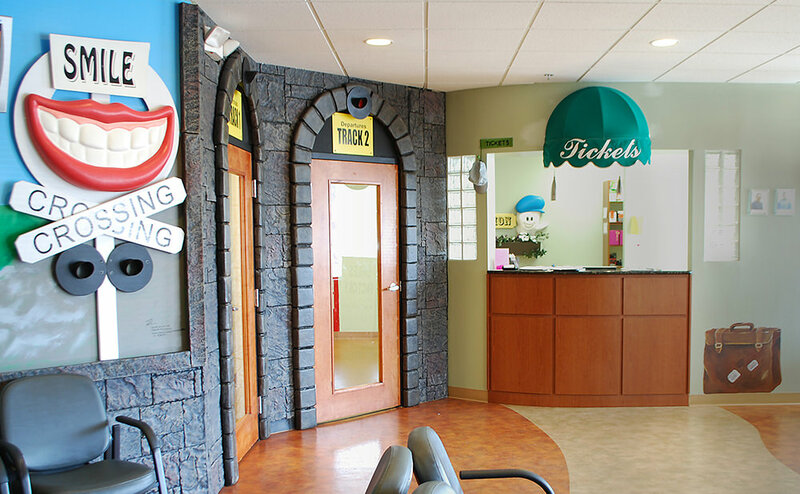 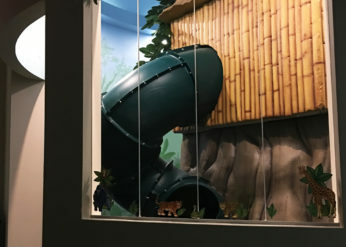 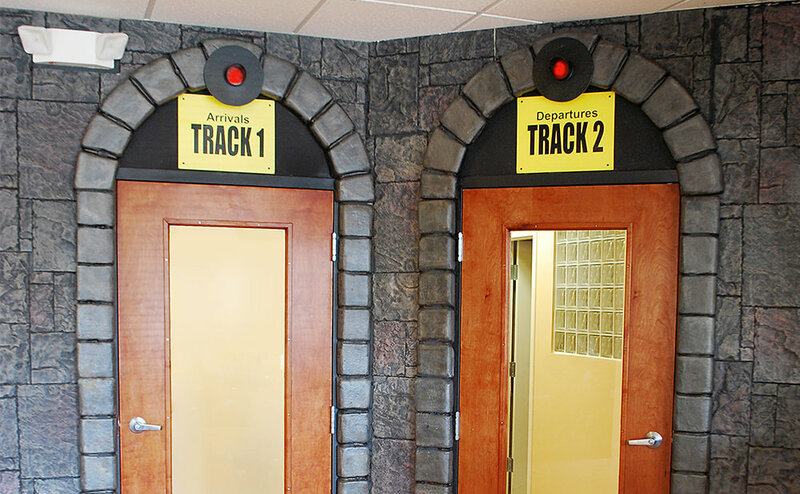 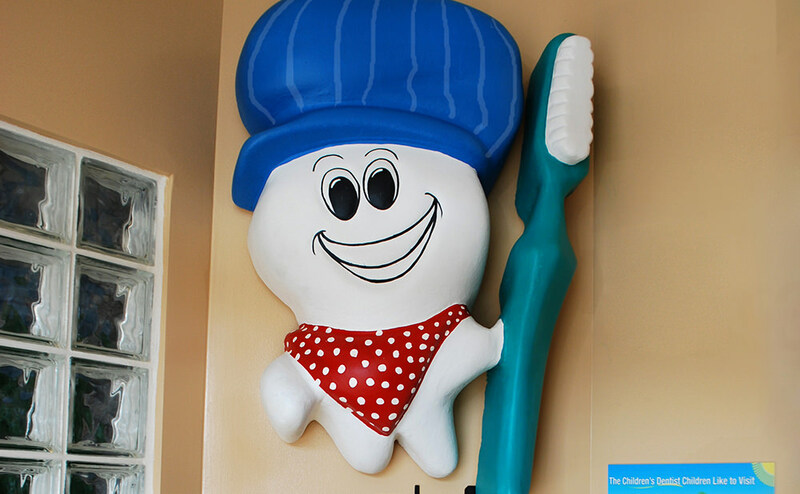 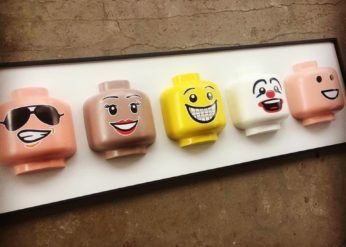 We created one of our favorite pieces for this office, the Dental train!! 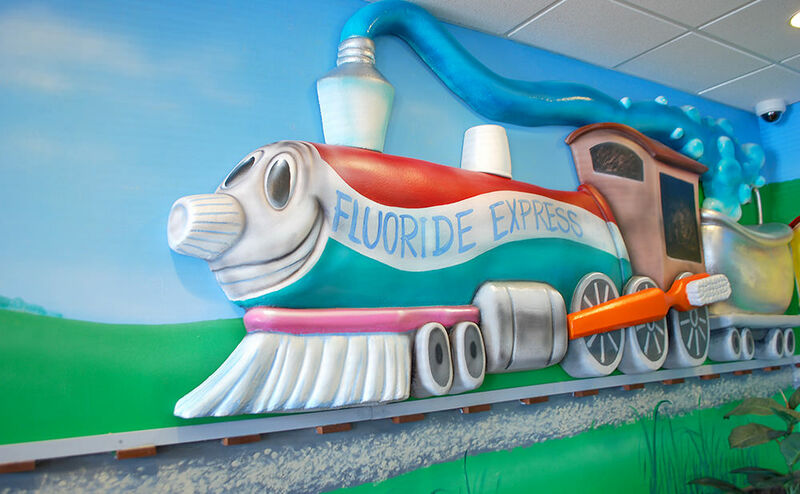 “All Aboard the Fluoride Express!!”. 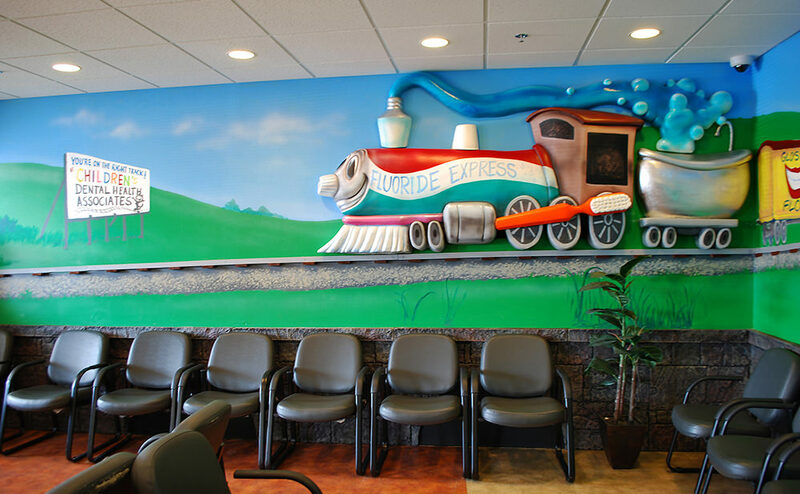 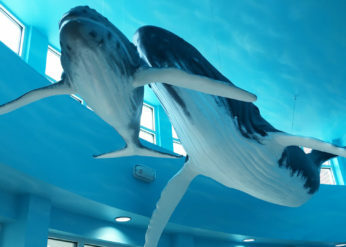 This piece is accompanied by a mural that adds an extra dimension and creates a “fade into the distance” kind of effect.